Calata ala spagnola [No.6] by Joan Ambrosio Dalza (fl. 1508) – Includes Two Editions: Notation Only & Notation+TAB. Sheet Music for Classical Guitar, PDF Download. Level: Intermediate (Grade 5 or 6). I love this simple yet beautiful music. Joan Ambrosio Dalza flourished around 1508 but nothing much else is known about his life. 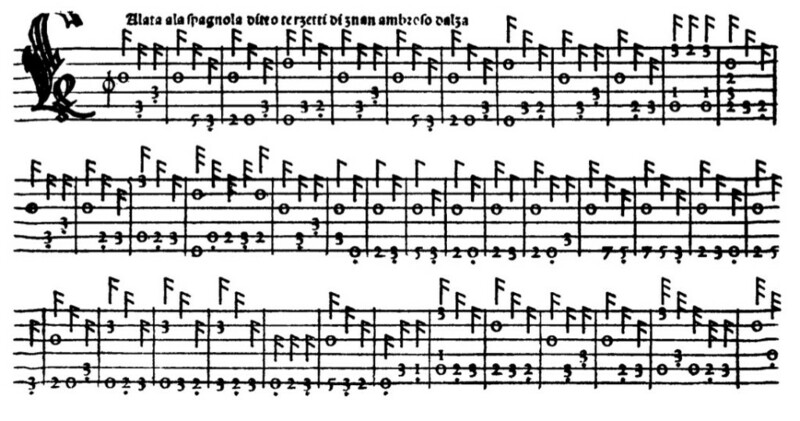 His surviving works comprise the fourth volume of Ottaviano Petrucci’s influential series of lute music publications, Intabolatura de lauto libro quarto (Venice, 1508). Dalza is referred to as “milanese” in the preface, so it must be assumed he was either born in Milan, or worked there, or both. Calata ala spagnola is a tune for which there are six different settings in Intabolatura de lauto libro quarto. Video Lesson and Performance Link (4k). 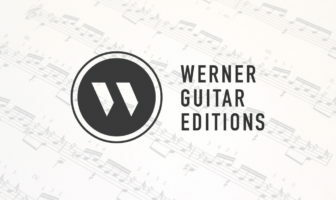 Buy this Dalza from Werner Guitar Editions – My dedicated store for free and premium guitar editions. Free PDF Pairing: I recommend pairing this piece with my free edition of Dalza’s Recercar (free pdf) which ends in the same key and chord. Also check out the entire Original Lute Tablature (remember that Italian tablature is upside down and the 3rd string is tuned to F#). It’s the first track from this album: Early Venetian Lute Works (Amazon Link).